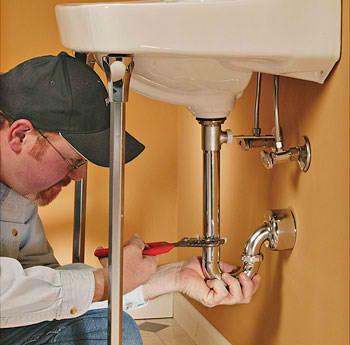 It may not be known to a lot of people, but local plumbers can now make a great difference when it comes to upgrading your home or your office’s current plumbing system. You no longer have to book plumbing companies that are located really far from where you are located who can also incidentally charge you with exorbitant prices because they would have to travel far just to get to you. In addition to that, you will also not have to waste any more time waiting for a plumbing contractor who would have to make you wait just so you can get an appointment. The local plumbers in Perth can come to your rescue any time and any day! You may not have tried to transact with a plumber because they used to be relatively unknown as compared to their other counterparts outside the area who have spent extensive amounts of money for their marketing. What makes them special is that they would choose to forego spending their capital on advertising their services and would rather rely on the good word that their happy clients can share to other potential customers. You will be amazed at how much the Perth local plumbers can do for you. 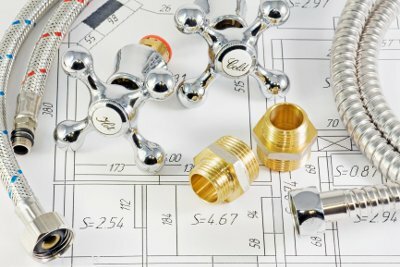 If you would dare to ask homeowners and both small and large businesses in the area, they would advise you to call the Plumbing Services in Perth. Why is that so? That is because the services that are being offered by plumbers are extensive, excellent, always on time and very affordable compared to other companies. They really value the great working relationship that they are able to build with their clients through time. In fact, once you start contacting the local plumbers in Perth for any plumbing services that you might need, you would definitely not consider getting the services from anywhere else. For instance, if you intend to have Saniflo pumps installed on your home, having your plumber would be such a breeze. They are a great way for homeowners like you to install bathrooms, showers, and the like to any area of your property. As you might already be aware of, the local legislation makes it a requirement that only registered professional plumbers will be allowed to put together a Saniflo pump system. Doing it all on your own is not really an option. First of all, the benefit of reaching out to a professional plumber in Perth would be that they can provide you with the expert opinion on which specific model would be most useful to you. After all, you would most likely want to invest in something that would give you the best value for your money. You would be able to avoid spending incessant amounts of money on a piece of equipment that you would not be able to use to its full extent. Aside from that, having the professional to do the installation for you would mean that you will have more time to spend on more important things. They will be done with the task in a very short while and you can always be assured that the installation would be perfect. The maintenance of the pumps would also be really easy in the future since there will be very small chances of blockages due to improper installation. Another type of service that is commonly received nowadays is the installation of Neo Power Hot Water Solution systems. Hot water is one of the most important things in a household or in an office. The steady and reliable supply of hot water should always be assured in order to avoid inconveniences. That being said, it would be best to have the skillful plumbers do the setup on your behalf. Even if you have had prior experience in installing such a system for your home, there is really no guarantee that you will be able to do the job as quickly and as correctly as the local plumbers in Perth. It is always best to let the professionals to their magic when it comes to tasks like this. Think not about how much it will cost you to have the experts to do it for you. The cost of seeking their services would be very minimal compared to the amount of repairs that you would need if something goes wrong with your do-it-yourself installation. You should think that in the long run, you will be saving more money due to the low maintenance or repair costs. You should learn from the mistakes of people who have previously thought that they can do a better job compared to professional plumbers. At this day and age, people have become empowered that they are capable of doing everything on their own because information is readily available on the internet. With a little research, you can be really good at unclogging sinks or cleaning a blocked toilet. However, when it comes to more complicated plumbing activities, you should understand that it is not an easy feat and requires skill and expertise. 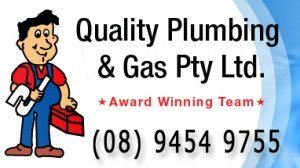 These traits are readily possessed by the Perth plumbers because they have had years of extensive experience in dealing with all types of plumbing issues. Aside from that, local plumbers in Perth also have the proper equipment to get the job done safely and accurately. It would be a total waste of money to try to buy the tools that are used by the local professionals because there is a very little chance that you would need to use them often, and it is an investment that you would not be able to make the most out of. Availing Plumbing services in Perth will give you the certainty that everything will be done correctly, quickly, and safely. It gives you the convenience to just have everything done right at the moment that you need it and the freedom to choose the different services that you would want.